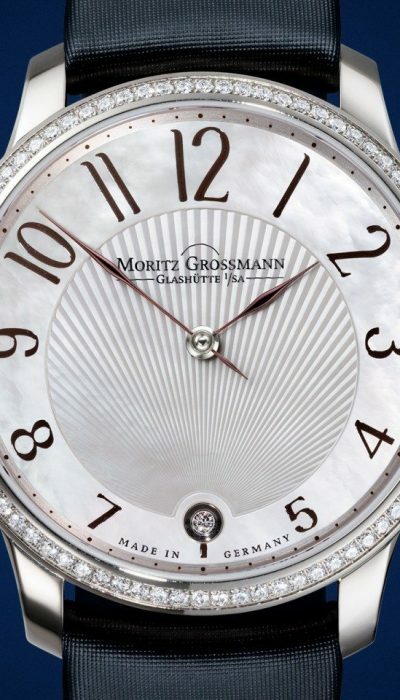 The TEFNUT Lady is the first Moritz Grossmann watch that combines horological class with feminine charisma. 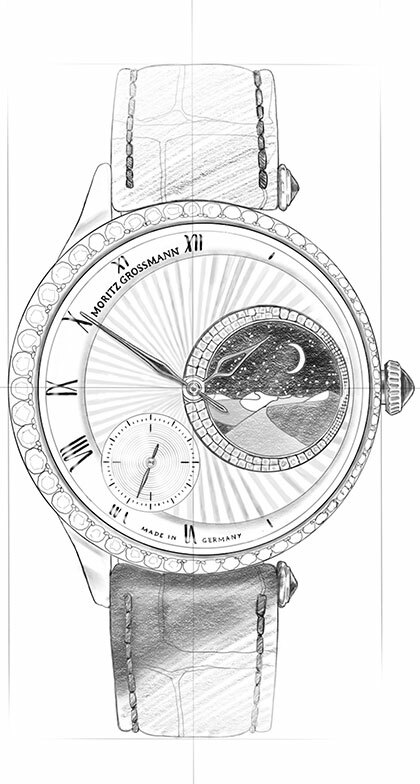 A radial guilloché pattern unfolds across its sub-lime mother-of-pearl dial. 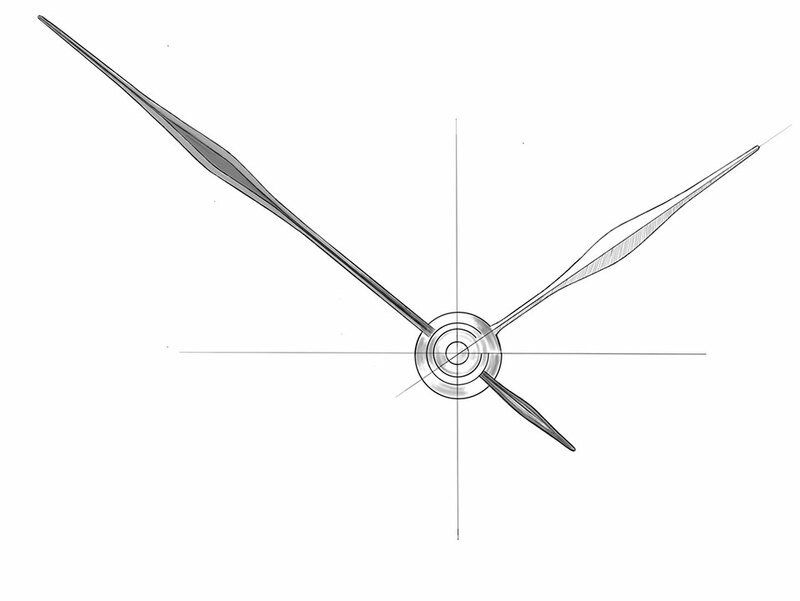 The origin of the rays at 6 o‘clock is a gold chaton with a glistening diamond. 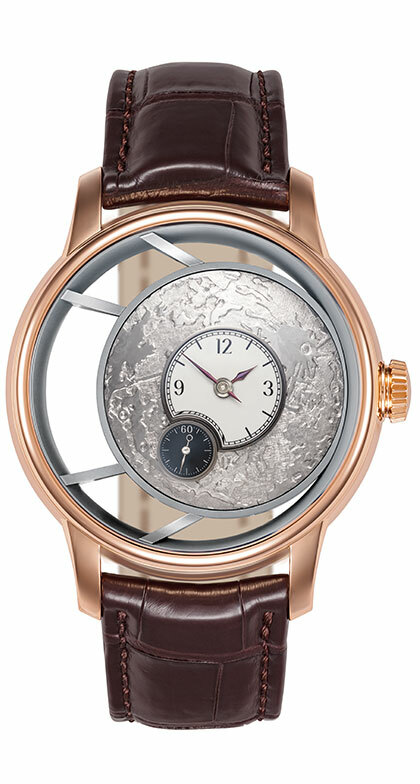 It underscores the gracefulness of this timepiece. Two manually crafted hands in steel annealed to a brown-violet hue stand out with a delicately curved nodal shape and wispy contours. 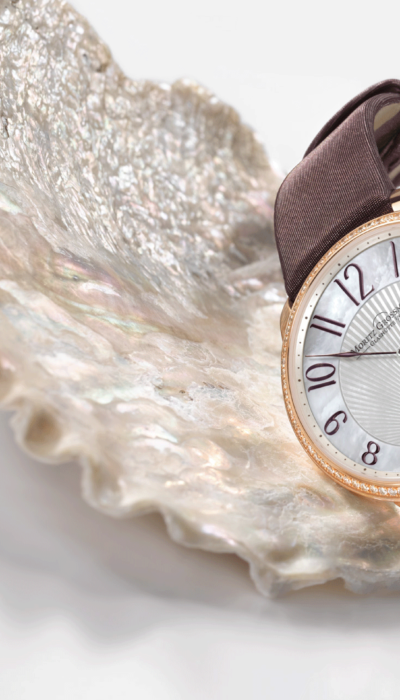 A gold bezel, option-ally set with 80 brilliant-cut diamonds, frames the elegant face of the watch. 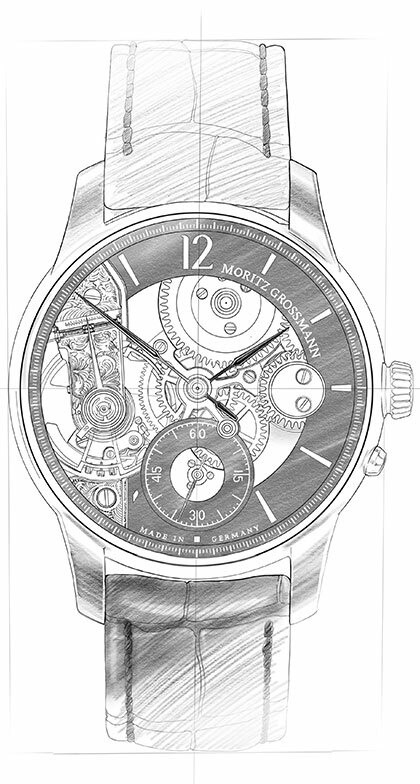 Its heart is the calibre 102.0 movement, a totally new development. 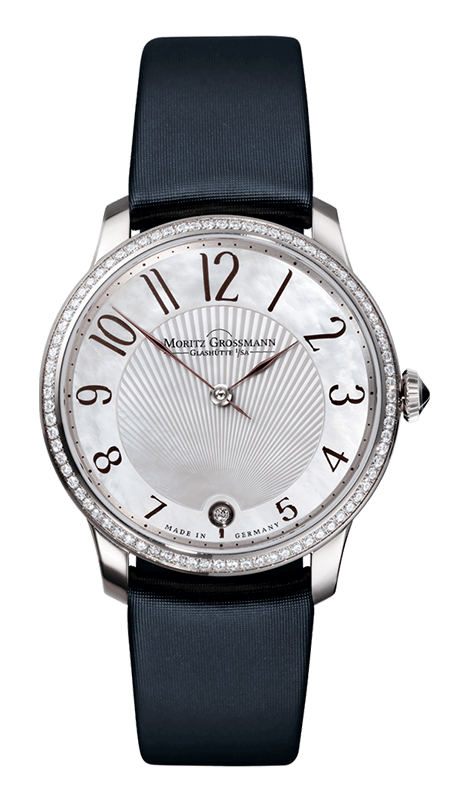 Easily veri-fiable: This slender masterpiece proves that sparkling diamonds and technical brilliance are a perfect match. 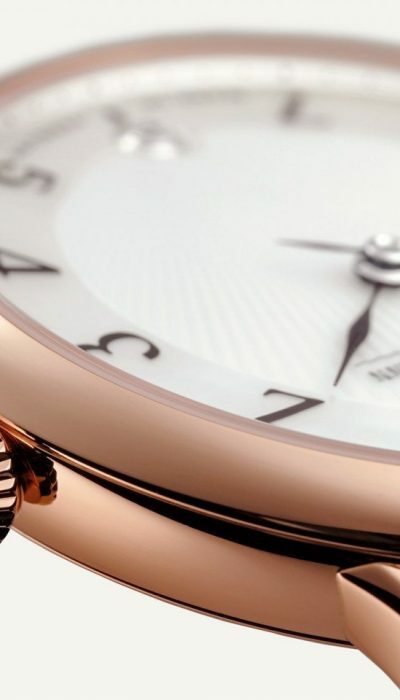 Thanks to the new slender calibre, the silhouette of the gold case is graceful and poised. A gemstone embedded in the crown accentuates the eloquent appearance of the TEFNUT Lady. 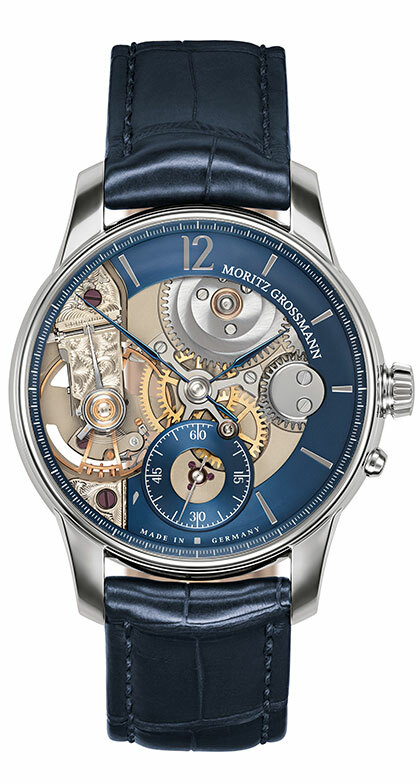 Four elegantly curved lugs with a tapered chamfer assure a snug fit on the wrist as well as a seamless transi-tion to the meticulously crafted satin strap. It rounds out a fetching overall composition and contributes to the wrist-hugging comfort of the TEFNUT Lady. 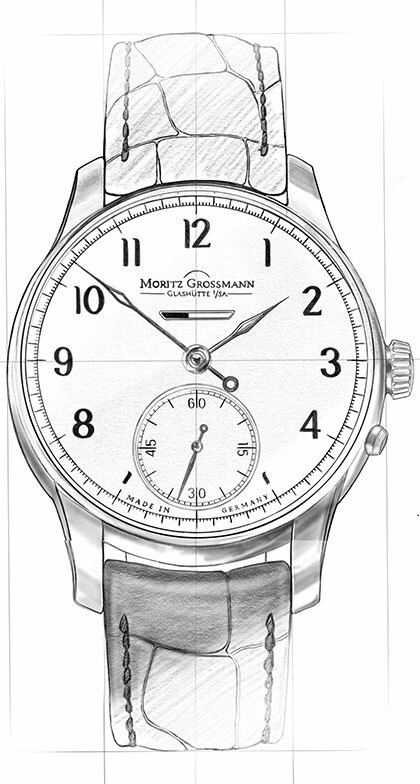 The strap is fitted with a prong buckle that safely secures the watch on the wrist. 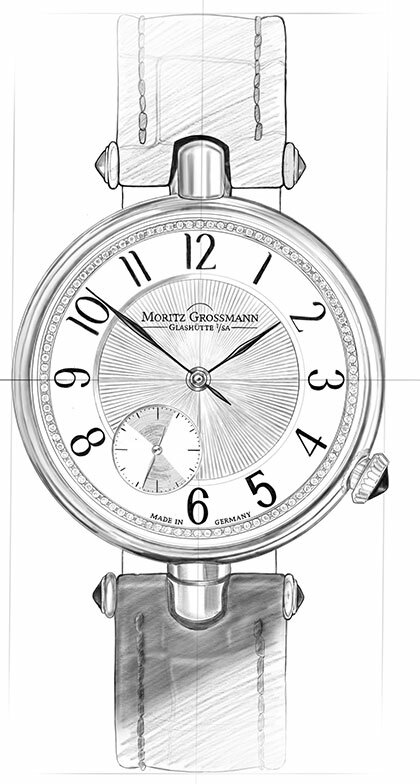 Numerous exquisite movement details can be admired and observed through the sapphire-crystal caseback. 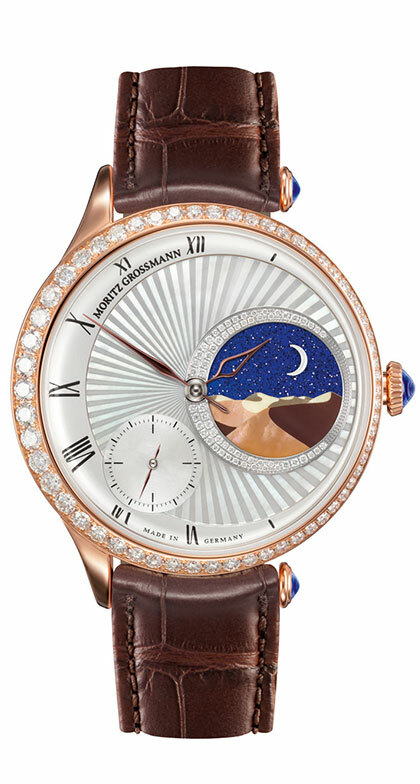 The exquisite face of the TEFNUT Lady is bordered by a slender gold bezel that can be optionally set with 80 diamonds. 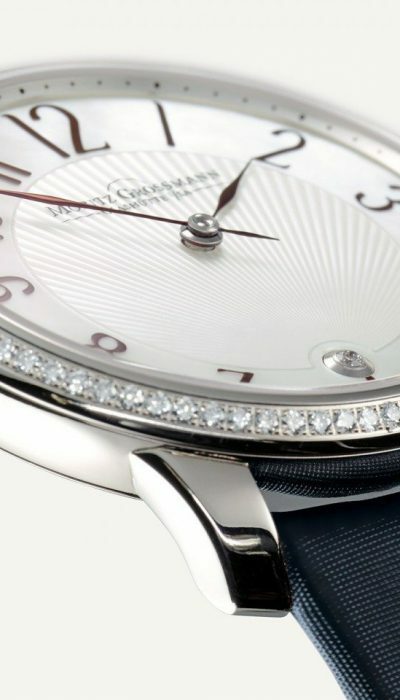 It adds a touch of feminine elegance to the intrinsically brilliant beauty of the watch. 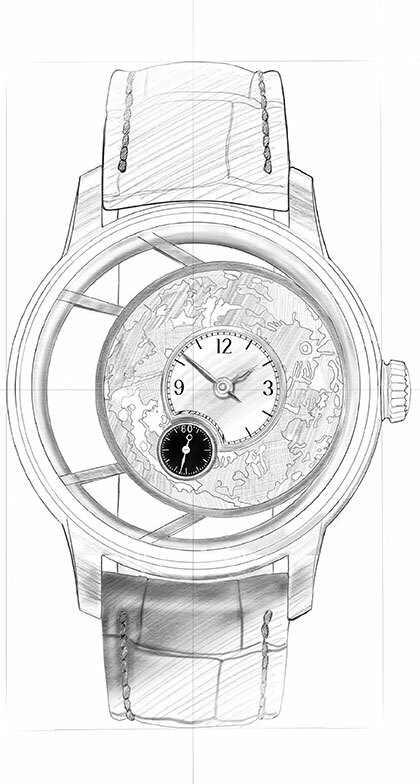 Together with the gold case, it complements an expressive, multifaceted whole. The face of the TEFNUT Lady vibrantly radiates timeless beauty. 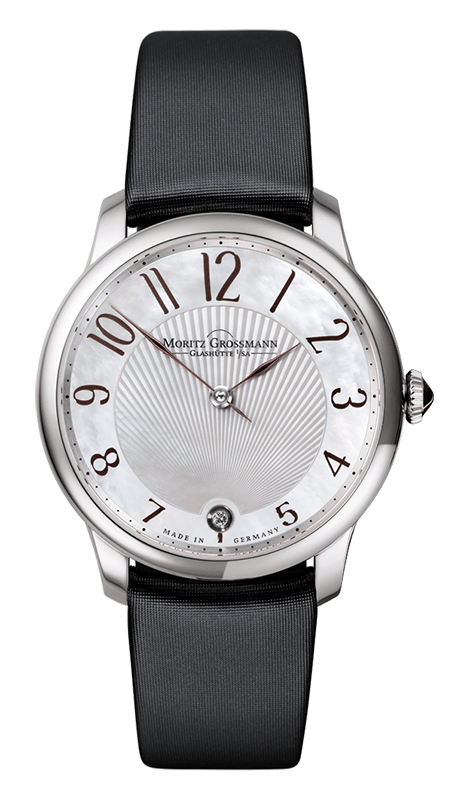 Its solid-silver dial is veneered with scintillat-ing mother-of-pearl. 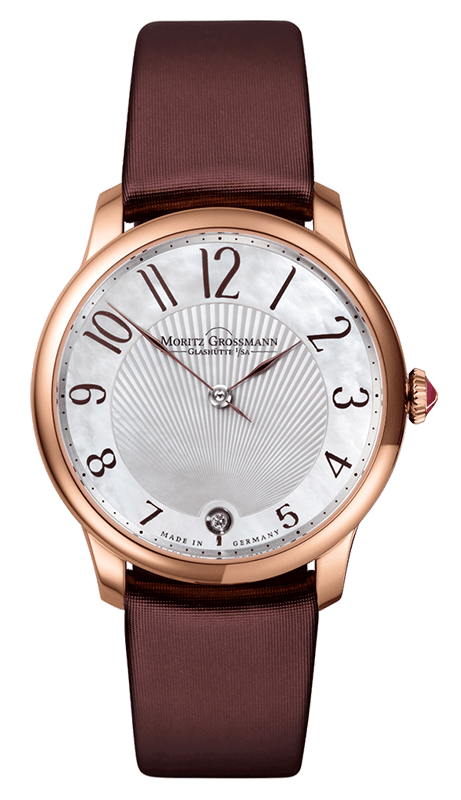 The guilloché pattern that radiates toward the centre of the dial as well as eleven Arabic numerals that seem to hover over the shimmering background are prominent eye-catchers of this watch. 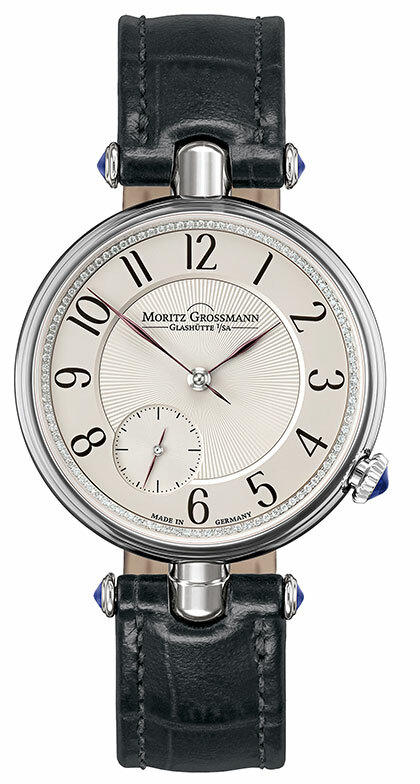 A diamond secured in a gold chaton at the 6 o‘clock position enhances the brilliance of the elegant ladies‘ watch. A new hand shape was developed for the TEFNUT model family. 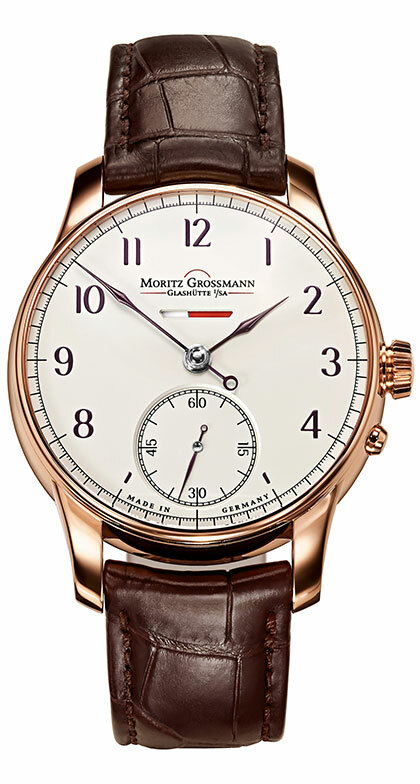 It corresponds perfectly with the underlying design of the refined dials and at the same time elevates the hands to the status of a distinctive Grossmann signature element. 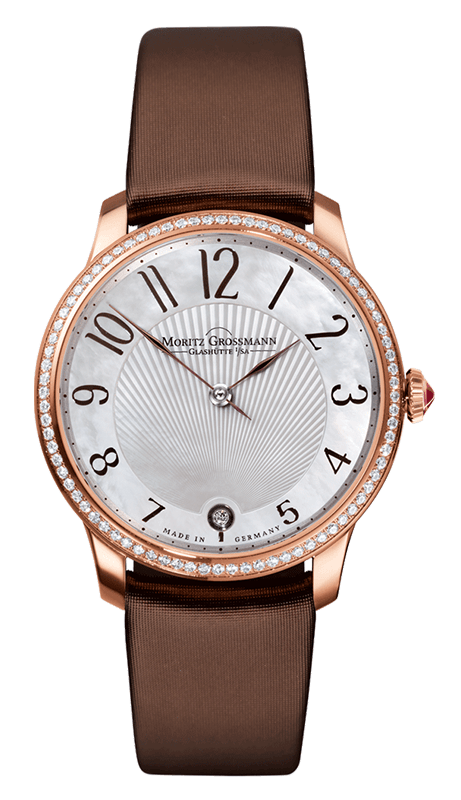 They are manually crafted from steel, shaped to their final form with diamond files, and annealed to a brown-violet hue to achieve the best possible contrast against the dial. Discover everything about the heart of the TEFNUT Lady.